The article was first published in the ‘Labour’s Business’ report in November 2011. A summarised version was published in the Institute of Small Business and Entrepreneurship newsletter in Spring 2012. Women in the UK are just half as likely to start a business as men. The gap is twice as wide for younger women; when women have the choice, they don’t often choose enterprise and the aversion starts early. Enlightened policy can and does make a difference. There was a steady increase in the rate of female enterprise during the Labour Governments of 1997-2010, supported by enterprise policy which aimed to take account of the specific needs of women. And in the USA, sustained affirmative action policies introduced in the 1970s and 1980s are credited with bringing a generation of women into business ownership. The move to greater enterprise being pursued by the coalition government, by contrast, is strictly hands-off and gender blind. Female labour market statistics currently resemble a roller-coaster ride, with ferocious peaks and troughs. Female unemployment is at its highest since 1988; women make up almost all recent redundancies; and there’s been a 10% hike in female self-employment since 2009. Those facts are not unrelated and they have little to do with choice and liberation. So, how could Labour steer a path to enterprise that is positive and sustainable for women and our economy, rather than the coalition course: nasty, brutish and short? The weak level of female entrepreneurship is a critical economic and social issue for the UK. Its improvement is important for growth and competitiveness and also increasingly for social innovation and cohesion. One big difference between the level of business start-up in the UK and the US – so often lauded for its enterprising people – is a conspicuous female shaped gap this side of the Atlantic; it amounts to pretty much the entire productivity gap between the two countries. If it was closed, we’d have 900,000 more businesses, bringing in £23 billion Gross Value Added to the UK economy. Women who do start businesses here in the UK perform just as well as their male counterparts. They are also more innovative, possibly as a result of their marginal status and different routes to entrepreneurial success. As a result, women also bring a diversity dividend as non-executive directors of other companies: indeed, gender balanced boards are more successful than mono-cultural boards on every measure. And the case for supporting more women to be entrepreneurial isn’t just economic: women are more likely than men to bring strong social, ethical and environmental values to business too. This translates to social enterprise, a sector in which women are not under-represented. It is also the case that women are five times as likely to start a business for ‘family reasons’ than men. Most start up part-time (just 12% of men do) and for many of those women, enterprise enables an impressive balancing act which allows time for care for children and relatives, and support for community, while still building enough income to hold everything together. In many ways, this style of largely female micro-enterprise is a social and economic glue holding families and communities together. Self-employed women give more time to supporting their local community than men or employed women. They are the kind of get-on-with-it activists essential to the Good or Big Society, but they rarely get any thanks or support for it. The current government writes off this style of enterprise as ‘lifestyle’ and, in its Local Growth white paper, criticised previous business support programmes for being “poorly targeted” at “so-called ‘lifestyle businesses’ with no aspiration to grow”. In fact, many micro-businesses choose not to grow in the conventional sense of employing people or expanding floor space. 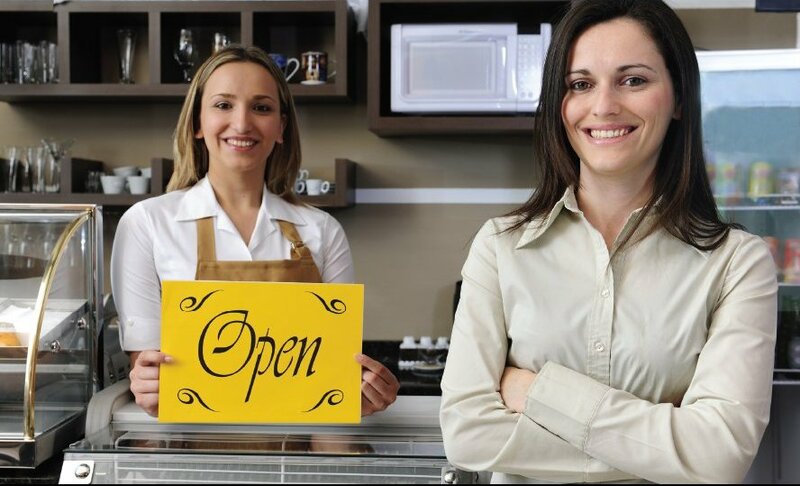 Instead, they contract or work with other small businesses. They are more resilient as a result and strengthen other small businesses and the local economy. Their value is measurable by more than just balance sheets. It’s important to be clear that women’s businesses aren’t all micro and part-time. Most are, but then most men’s businesses are micro too. Within the category of ‘women’ there is, of course, a great deal of diversity. In recent years, for example, rural women and some ethnic minority groups have been turning to enterprise in far greater numbers. Women who establish their businesses and take the decision to grow can be phenomenally successful: indeed, they are the fastest growing group of millionaires in the UK. It’s not just those fast lane sisters who are at the vanguard, though. In the context of climate change, the female style of micro-business might be an important model for the future. In considering how we get serious about decoupling prosperity from pollution based-growth, Tim Jackson’s report, for the Sustainable Development Commission, concluded that placing greater value on the female dominated so-called ‘Cinderella’ economy of labour-intensive personal and social services, community and social enterprises, must be one part of the solution. Two of the key challenges of our time – renewable energy and food security – require the strongest combination of both technical skills and societal engagement. Diversity matters here too, more than ever. While the numbers of women taking science, engineering and technology (SET) degrees has steadily increased, over 70% drop out of SET careers, compared to half of men. This is a terrible waste of investment, talent and opportunity. Most of those women would prefer to continue in their SET careers; many are instead unemployed or unwaged. They are pushed out not by lack of competence, but too often by antiquated workplace structures and cultures which privilege those able to maintain extreme levels of competitiveness and visibility in the office or lab. The rate of female self-employment gradually increased during the Labour Governments of 1997-2010. To some extent this was enabled by considered Government strategy, with women-friendly approaches implemented across much of Government-funded business support. Enterprise strategy was far from perfect, but it didn’t entirely ignore women. Women’s enterprise was firmly on the New Labour Government agenda. They invested considerable funds in exploring the issues, championed several pilot projects and worked hard to make mainstream business support equally accessible to women. Business Link did get better at appealing to and satisfying female clients, who increased from one fifth to one third of clients. New Labour’s approach meant women weren’t further left behind, but lack of boldness meant that they didn’t move as far forward as they could have. The underlying strategy lacked conviction too. At an intellectual level, New Labour got the importance of enterprise to growth and competitiveness. It understood that enterprise is implicitly risky for individuals, but that the potential benefits to the State are such that there is a case for the State, in small part, sharing that risk through incentives and support. But Labour’s bold policy to stimulate this entrepreneurial activity was Business Link, a top-down state-led initiative. The irony and ineffectiveness of start-ups and entrepreneurs being supported by salaried quasi-civil servants was clear. While Business Link did evolve to become a brokerage service, which managed and evaluated a dynamic network of private and non-profit providers, Labour ultimately reverted to central control, imposing a rigid framework of centrally approved ‘products’ which it would support. The number of products was narrow, ranging over time from thirteen to around forty. All had to be delivered in a consistent and streamlined manner. It was back to top-down; back to Government knowing best. Labour has never quite believed in self-employment as an alternative to paid employment for the unemployed – or at least it has never shown the courage of that conviction. The various welfare to self-employment routes introduced by New Labour were characterised by impossible bureaucracy, complexity and timescales. As a result take-up was very low. Tweaks to the system over the years resulted in successively lower numbers being supported into enterprise with each new scheme. But of those who managed to get over the hurdles, two-thirds were still in business a year later. For women, the failings of Labour welfare to self-employment programmes were magnified. The need was more pressing, with one in five women entering self-employment from unemployment, compared to around one in fifteen men. Despite this, only 17% of those accessing the New Deal for Self-employment were women. Previous schemes in the 1980s included 39% women. When the New Deal was set-up in 1997 it did not include enterprise support. A ‘self-employment’ option was eventually tagged on, but it remained a sub-set of the employment programme and a large chunk of Jobcentre Plus staff didn’t know it existed. Welfare to work was focused not just on employment, but on a traditional model of male unemployment and full-time employment. Most women start businesses part-time and at a more tentative and gradual pace; they did not begin to fit into Labour’s welfare to self-employment programmes. New Labour tried hard to build a national enterprise culture. It invested heavily in enterprise education in schools and universities and supported major campaigns like Global Enterprise Week. Despite this, there’s been a decline in enterprise aspiration among young people, perhaps a wider symptom of global recessions. Male and female students are equally likely to participate in school enterprise education, but males are 50% more likely than females to be interested in starting their own business as a result. In contrast the girls are significantly more interested in setting up a charity or social enterprise. It’s been reported that the gender gap in entrepreneurial aspiration starts at age 11. It’s not clear why this is. It’s likely that subtle social conditioning pushes girls toward nurturing and support roles, and the popular presentation of entrepreneurship as a masculine activity, plays a part. The ruthless and macho stereotypes on TV shows Dragon’s Den and the Apprentice alienate anyone a bit unsure about enterprise, particularly teachers, amongst whom the decline in support for enterprise education has been sharpest. It’s not surprising, then, that those who believe only a small minority of people have the ability to set up their own business rose from 21% in 2006 to 45% in 2009. Many things are not so different for women who start businesses and those in the workplace. They both work in similar industries, are more likely to work part-time and earn less than their male counterparts. So, regardless of enterprise policy, many of the broader labour market changes New Labour brought in did make a positive difference to entrepreneurial women. Tax credits, child tax credits and the extension of free pre-school childcare and Sure Start gave large numbers of women considerably more certainty in taking an entrepreneurial risk. Labour’s core value of equality is an important bedrock for greater female engagement in enterprise. While equality has always been on its enterprise agenda, the New Labour association of enterprise with individual aspiration arguably obscured the more traditional Labour emphasis on poverty alleviation and making a living. In fact, Labour needs all of those perspectives. We need highly aspirational entrepreneurs to create the jobs of the future. But, we should also bear in mind that the vast majority of people who start businesses just want to create a job for themselves. Three quarters of all private sector businesses have no employees: that’s over three and a half million businesses with a combined turnover of £240 billion. For a group who make such a significant contribution to employment and the public purse, and whose numbers are set to grow in an increasingly flexible and globalised economy, this group of workers has had too little support or acknowledgement. Labour policy should ensure that the self-employed can access the state support that any other worker would be entitled to. For women, that should include maternity pay. At present, self-employed women are not entitled to maternity pay (unless they are company directors). Instead, the self-employed receive a maternity allowance, which has a much lower and more limited value. If self-employed women decide to have a baby, their business faces the often fatal blow of having to continue to pay themselves and, at the same time, pay someone else to do their work. Schools need to be the starting point for a women’s enterprise strategy. So far, though, enterprise education has not worked for girls. From a young age, a lot of women don’t identify with the language and perceived values of mainstream entrepreneurship; in fact they’re a turn-off for just about everyone who doesn’t think of themselves as a ‘natural entrepreneur’. This is a significant issue for enterprise education and becoming more so in the wake of the international financial crisis, which, most people believe, was due to a values deficit in business and banks. Inspirational activities and speakers which focus on entrepreneurship as a route to individual wealth, reinforce to young women that enterprise isn’t for them and turn-off important influencers like teachers and lecturers. And yet, we know enterprise skills will be critical for future careers. The enterprise curriculum needs to reflect current realities and values and so do teachers and lecturers. More educators need to be part-time and self-employed and enterprise needs to be integral to teacher training. Labour also needs to get over its paternalistic and employment-obsessed approach to the unemployed. For too many, welfare benefits became a cage rather than a safety net. In 2005 Labour allowed the ‘earnings disregard’, the amount someone on benefits can earn before it affects their benefits, to slip below the level of one hour’s minimum wage. It meant that there was no advantage in gradually building up small business earnings or experience – pound for pound it would all be deducted from benefits. Again this was a particular issue for women, who most often needed to start part-time. Their more gradual and tentative pace of start-up also raised the risks of losing secondary benefits such as housing benefit if self-employment income fluctuated. The Coalition Government has begun to address this issue with the Universal Credit, which includes the principal that even a very small amount of work should ‘pay’ for the claimant. The earnings disregard will reduce from 96% to 65%. Labour needs to accept and build on this principal. Building on the progress that New Labour has made in workplace equality is also important. Greater workplace and leadership equality drives greater innovation and prosperity for all. It also sets the tone for self-employment and entrepreneurship. Women’s status as entrepreneurs is often defined by their status in the workplace. Some industries, like science, engineering and technology, need additional focus to ensure that the new surge of women being educated in those disciplines are retained and able to make a contribution to the big medical, environmental and social issues we face. Female employees are underpaid and under-promoted compared to men. There’s a shard of silver lining in this black cloud for women who start their own businesses: they’re less likely to be held back by ego and role identity issues; and the exclusion from senior, in-group, thinking gives them a fresher, more innovative perspective. Frustration with the ‘glass ceiling’ is a powerful motivation for women to make their mark on their own terms and at their own pace. It’s no coincidence that female senior managers are less likely than average to have children and female entrepreneurs are more likely to be mothers. But, the flip side is capital deficiency. It’s not just money: capital is the range of resources required to start and grow a business, including financial, social and human capital. It is this combination of capital deficiency which is key to unlocking women’s business growth potential. Women now start businesses with higher levels of education, but their under-representation in senior management roles means that too often they don’t have the opportunity to build up the other critical forms of human capital: management training, experience and reputation. Because of this, those who start businesses particularly value enterprise training. It helps to close the gap in confidence and business credibility and doubles the likelihood of women getting a venture off the ground. While not for all women, female-targeted business support should be an option. It attracts high numbers of women, who either don’t feel they’d be eligible for or get the right type of support from mainstream providers. It’s a view even the youngest start-ups share: a national programme for graduate entrepreneurs saw female enquiries increase by 600% when it launched a women-only option. Social capital is ‘who you know’. Women are excellent networkers, but their marginal employment status can mean they just don’t know the right people when they start businesses. One outcome is that female businesses win less than 5% of corporate and public sector contracts. Public procurement needs to become much more open and accessible to smaller businesses. As for financial capital, it’s a well-established fact that women start businesses with just one third of the finance that men do, irrespective of size or sector of business. Gender doesn’t affect performance, but this undercapitalisation does. There’s little evidence of discrimination either: women are more likely to be offered business loans and also more likely to turn them down. While access to start-up and business finance is an equally pressing problem for both men and women, for various reasons, women can be more cautious. That’s not always a bad thing – established businesses with low levels of external finance are more resilient in downturns. But lack of start-up capital hinders women entrepreneurs’ chances of getting that far. What is important is the time and space to make well informed decisions and the support to act on them. That’s why high quality business support and mentoring is important for women who start businesses, particularly those with high growth potential. As with their male counterparts, very few women business owners are interested in equity investment in their businesses. The take-up of venture capital funds targeted at female-led businesses has been poor. More nuanced approaches which incorporate developmental human and social capital (training, mentoring and access to networks) alongside finance have emerged and appear to deliver better results. Business angels could be another option. There are very low numbers of female business angels and research suggests that more female investors would likely result in more investment in women-led businesses as well as provide greater mentoring support to those businesses. They may also appeal more strongly to the values of female-led businesses: the majority of both groups significantly differ from their male counterparts in valuing businesses with social, ethical and environmental benefits. Women are slightly ahead of a broader shift in values towards more socially responsible business. This sits well with Labour party ethos and needs to be more strongly reflected in enterprise education and business schools. It’s not just important for a more inclusive enterprise culture but also for a progressive economy which enables individual aspiration while safeguarding the common good. Labour’s equality focus is important in setting a labour market context for more women to succeed in enterprise and for our economy to benefit from the wealth of untapped skills, talent and assets which they represent. As women do better in the workplace, they will start businesses on a stronger footing. But until there’s a level playing field, Labour also needs to recognise and support what’s distinctive about how women start businesses – at all levels, from unemployed women who need to create their own job, to high flyers who want to grow substantial businesses. Standing up for women’s rights, in the workplace as well as in parliament, is at the very core of Labour’s historical narrative. It’s now time to bring that story up to date and get serious about making Labour the party of enterprise for all. Carter S and Shaw E (2006) Women’s Business Ownership: recent research and policy developments. Report to the Small Business Service. ONS Labour Market Statistics, July 2011 The unemployment rate has marginally decreased for men since 2009, for women it has leapt up by 9%. And the relatively gentle 2% increase in male self-employment is dwarfed by a sharp 10% rise for women. BIS Enterprise Directorate, Analytical Unit estimates, reported in: Women’s Enterprise Task Force (November 2009). ‘GROWE – Greater Return On Women’s Enterprise’. Harding, R (2005), Achieving the Vision: Female Entrepreneurship, British Chamber of Commerce. McKinsey & Comopany (2007) ‘Women Matter. Gender diversity: a corporate performance driver’. Harding, R., (2006) ‘Stairways to growth; supporting the ascent of women’s enterprise in the UK.’ Prowess/ GEM. HM Government White Paper (October 2010) ‘Local Growth: Realising every place’s potential’. Jackson, T., (2009) ‘Prosperity without Growth: Economics for a Finite Planet.’ Earthscan. This was driven to some extent by the Strategic Framework for Women’s Enterprise (DTI, 2003). Prowess, the organisation the author set-up to champion women’s enterprise in 2001 was commissioned to develop and disseminate the framework. Women’s Enterprise Task Force. (November, 2009) ‘GROWE – Greater Return On Women’s Enterprise’. Barbour, A., (2009) ‘Women’s Enterprise and the Benefit and Tax Credit Systems.’ Prowess. Old Bell 3 Economic Development and European Services (2004) ‘Encouraging self-employment through state benefit and tax systems.’ Cyfenter Development Partnership. Metcalf, H (1998) Self-employment for the Unemployed: The Role of Public Policy’. Policy Studies Institute. Rake, K (2001) ‘Gender and New Labour’s Social Policies’. Journal of Social Policy, 30, 2. Botham, R., & Sutherland, V., (2009) ‘Enterprise Insight Impact Evaluation: The Hubs.’ Enterprise Insight. Speech to the ISBE Conference, November 2010 by David Wilson of the Enterprise Directorate, BIS. Enterprise Directorate Analytical Unit (October 2010) ‘Small and Medium sized Enterprise statistics for the UK and Regions’. BIS. Hewlett, S., (2002) ‘Executive Women and the Myth of Having it All’. Harvard Business Review. NCGE (2008) Analysis of applicants to the Women’s Flying Start programme. National Policy Centre for Women’s Enterprise (2009). ‘Procurement: Fostering Equal Access for Women’s Enterprise’. Carter S and Shaw E (2006) ‘Women’s Business Ownership: recent research and policy developments’. Report to the Small Business Service. Women’s Enterprise Task Force (November 2009). ‘GROWE – Greater Return On Women’s Enterprise’.